Prince Harry and Meghan Markle have launched their own official Instagram page today with the handle @SussexRoyal. So far, there is only one post on the account: a slideshow of 10 highlights from the Duke and Duchess of Sussex’s royal work. The profile photo for the account is Harry and Meghan’s official logo, an intertwined H and M, under a crown. The graphic is printed in white over a navy blue background. At the time of writing, they’re only following three accounts: @KensingtonRoyal, @ClarenceHouse, and @TheRoyalFamily. 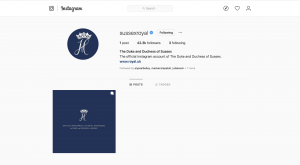 The launch of the Instagram page comes after the Duke and Duchess of Sussex announced they are establishing their own royal household, separate to that of Prince William and Kate Middleton at Kensington Palace. 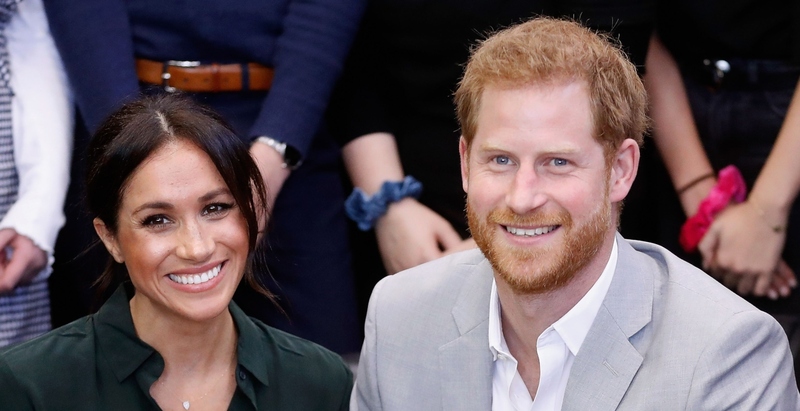 The move means the Sussexes will have their own staff based at Buckingham Palace, which will report to the Queen’s private secretary. Perhaps getting their own Instagram was just one small step in the big transition.